Yeshiva University men’s basketball freshman Zachary Gordon was named both first team All-Conference and the Skyline Conference Rookie of the Year after a sensational freshman campaign saw Gordon lead Yeshiva in almost every major statistical category, and finish among the Skyline Conference leaders in four categories. Facing a 22-point deficit with 17 minutes remaining in the game, the Yeshiva University Men’s Basketball team staged one of the most incredible comebacks in the history of Skyline Conference Basketball on Tuesday night, stunning second-seeded SUNY Old Westbury, 88-82 in overtime. 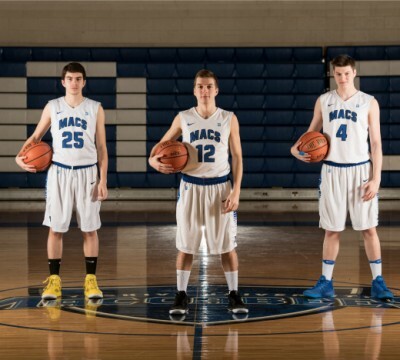 With the win, the sixth-seeded Maccabees will face #2 St. Joseph’s on Thursday night at St. Joseph’s at 8 pm.